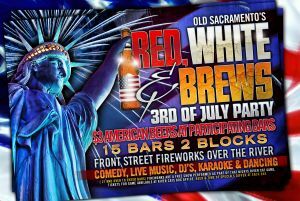 Old Sacramento gets ready for the 4th of July a night early with a party that includes fireworks, dj’s, dancing, live music, and comedy. 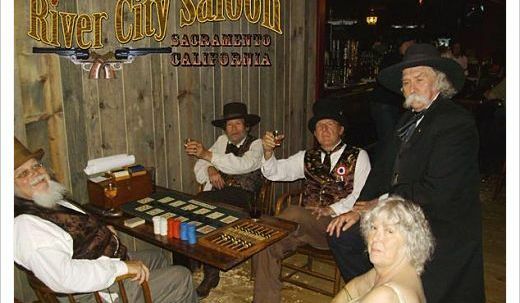 With Old Sacramento’s 15 bars on two blocks there is something for everyone 21 and over. It’s called Red, White and Brews as some of the bars will be featuring American beers at various times for just $3.00. 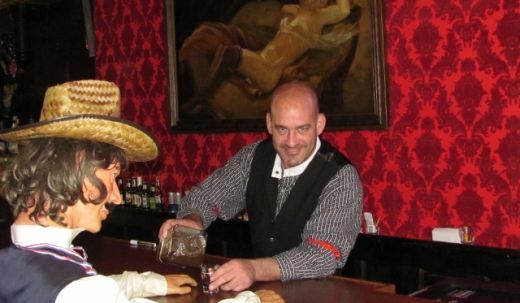 It’s up to you to hunt down the deals, and get ready for the 4th of July the next day. 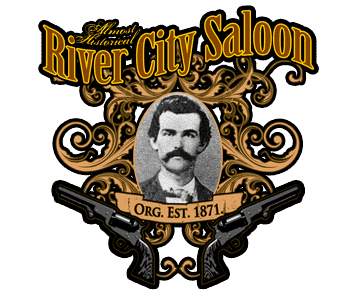 The River City Saloon will be featuring Live Music by Mike’s Lost and found from 9 pm till midnight, and great video music in between sets as well as after. Laughs Unlimited has comedy early and karaoke fallowing. 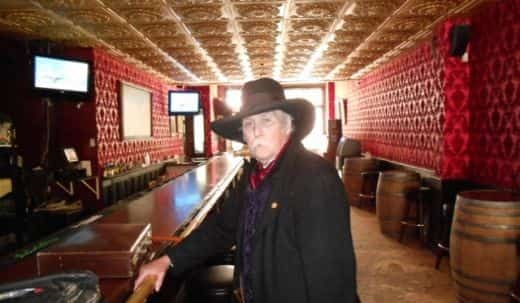 Fanny Ann’s will be featuring it’s DJ downstairs playing the best in current top 40 music and of course a few American patriotic songs thrown in. Coconut Grove is slated to have a DJ as well and with their huge dance floor there should be no problem shuffling your feet. 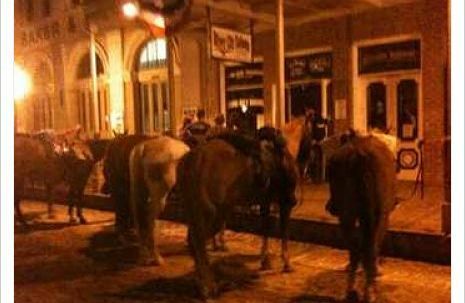 Vegas is always known for their Live Music under the streets of Old Sacramento and should be rocking out loud that night. Don’t worry about missing any of the games as Sports Corner will be showing any sporting event you need. 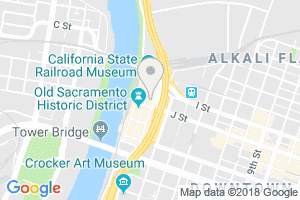 Of course there is also a River Cats Game that Night and as they do every year they will be providing the fireworks that can be viewed from Front Street in Old Sacramento or from one of the three great restaurants on the river . 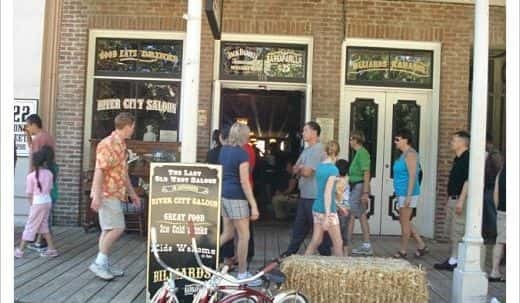 Of course you could start your day in Old Sacramento, head to the game, watch it, then head back to Old Sacramento for all the nightlife action. 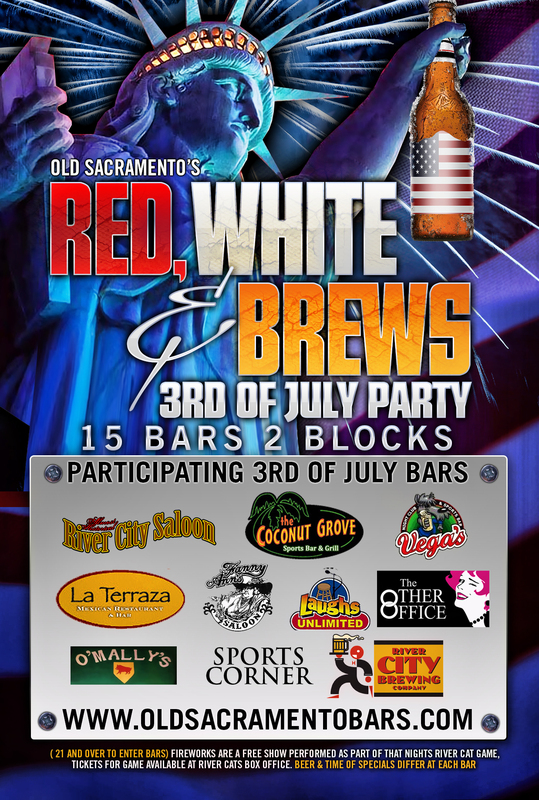 So join the bars of Old Sacramento as we celebrate the 4th of July a night early, 3rd of July style with Red, White and Brews. 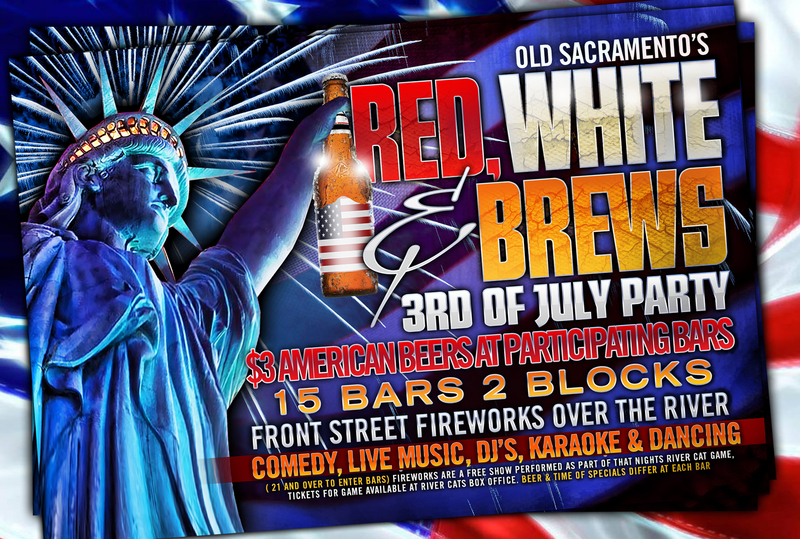 And if your wondering there are no fireworks on the 4th of July in Old Sacramento.